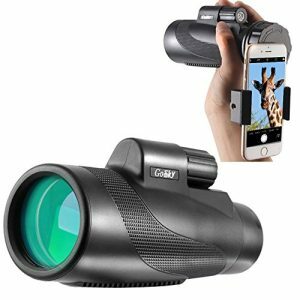 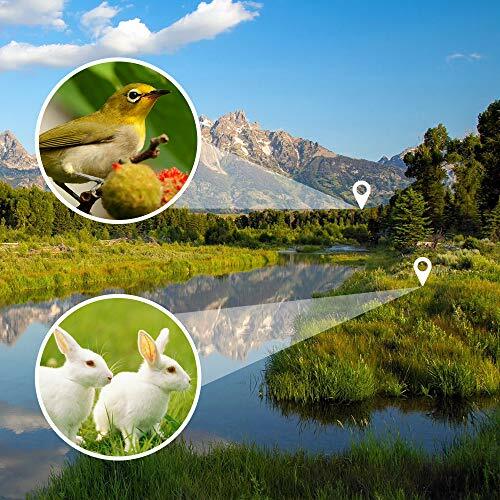 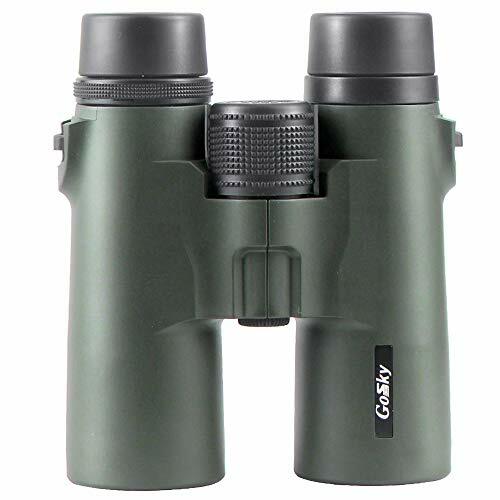 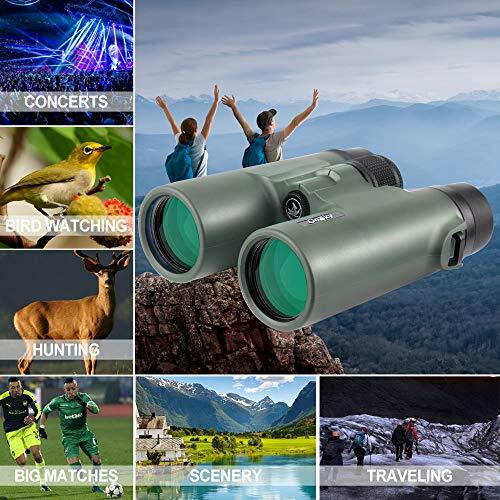 The Gosky 10X42 compact roof prism binocular, equipped with FMC(fully multi-coated) green film lens and clear prism, 10X power and solid construction, is a good gadget which enable you to observe target in distant world with more true-to-life details. 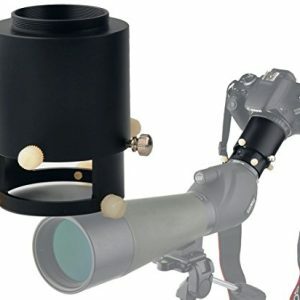 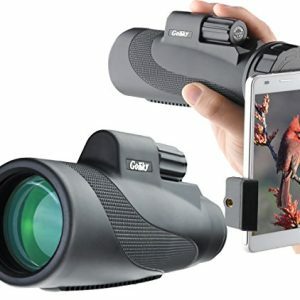 The 10X power magnification and 307ft/1000yds wide field of view is perfect for outdoor activities such as climbing, hiking, driving, watching wildlife and scenery. 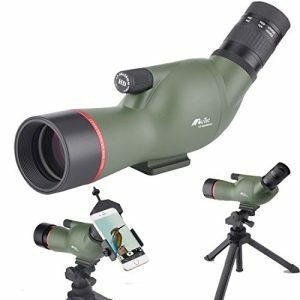 It uses 42mm Fully multi-layer coatings green film objective lens and 18mm blue film eyepiece, which garentee the key elements of an optical device, make your view brighter, clearer and deliver crisp images. 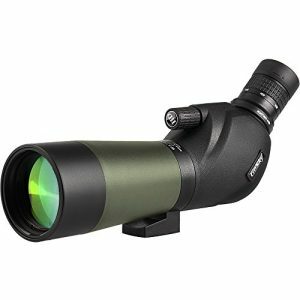 2） Solid construction — Its durable magnalium framework and rubber armor make it usable to withstand the toughest weather conditions. 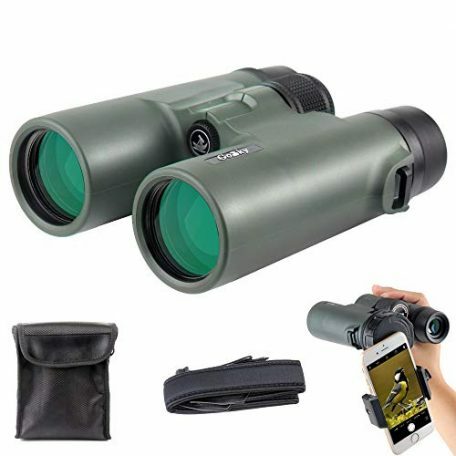 3）Use with or without glasses – Adjustable eye-cups twists up and down for comfortable viewing with or without eyeglasses. 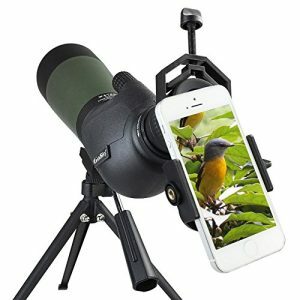 6）1/4″-20 threads on the front, you can connect it to a tripod with a binocular adapter. 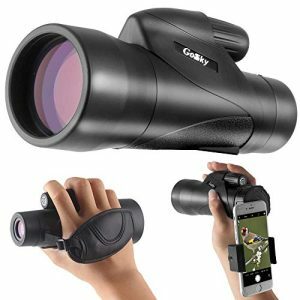 7) Compact and light weight, easy to carry outside. 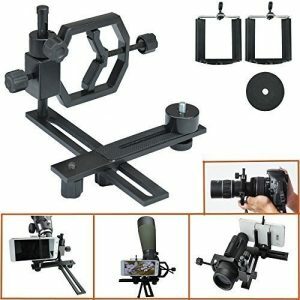 Item Dimension: 5.51″x 6.30″x 2.17″. 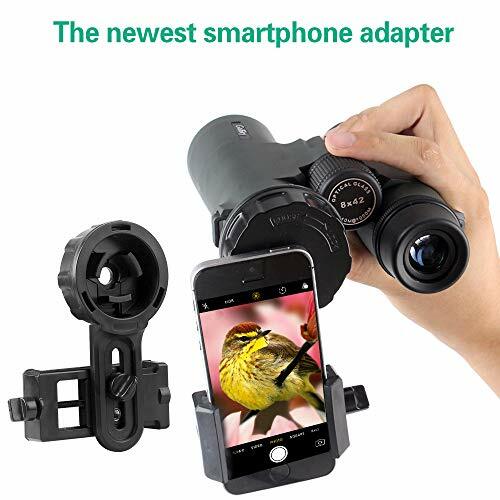 Weight: 23.88oz.